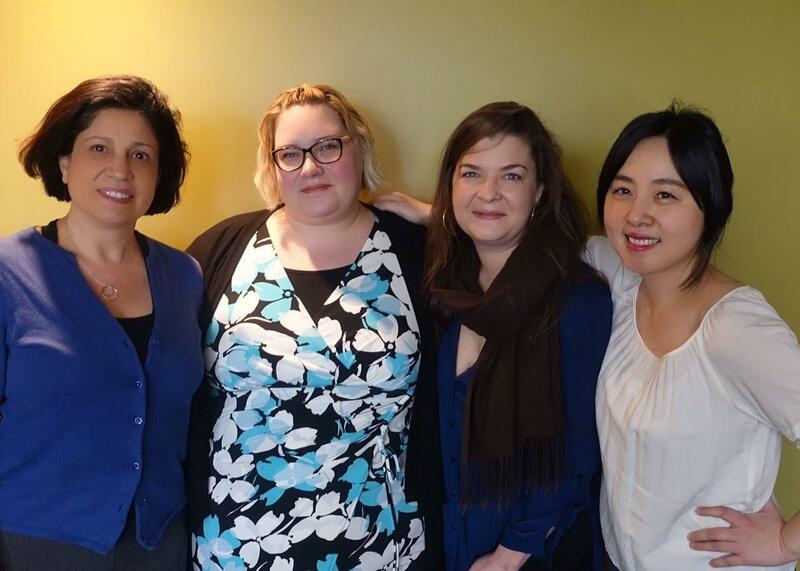 As we near the end of Women’s History Month, we thought it important to highlight a few women right here at Gourmondo who are not only great leaders, but directly impact Gourmondo’s success and bottom line. Alissa Leinonen is our founder & CEO. She opened Gourmondo as a 470 square-foot café in the Pike Place Market just over 20 years ago with the vision of creating a business that offered high-quality products in an environment that supported working families. Since then, Alissa has elevated the box lunch experience in Seattle to a gourmet level, expanded her brand to offer full-service social and event catering, launched a line of gourmet salad dressings, and developed a successful Corporate Café division that provides healthy, gourmet grab-and-go dining options to large and mid-sized companies and their employees. Of most note, however, is that Alissa did this while maintaining the philosophy of family-first: she grew her company slowly and over time, while working part time and raising two children. Her box lunch production schedule has always allowed for a full-time employee to leave work in time to pick up their kids from school. The company breaks at 11:30 a.m. each day to enjoy a family meal together. Alissa has been honored as a “40 Under 40” by Puget Sound Business Journal, which also named Gourmondo on its lists of Fastest Growing Companies and Largest Women-Owned Businesses. Last year, Alissa was a Women Business Owners “Nellie Cashman Award” Finalist. She is a graduate of the UW Foster School of Business and a proud mother of two. 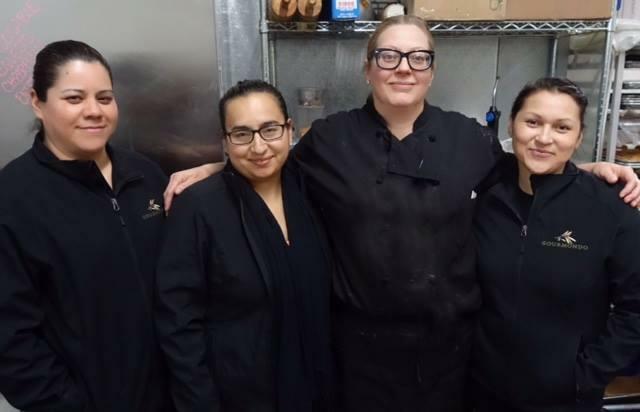 Alma Loredo, Rosie Mejia and Maribel Perez are Gourmondo’s cold side production trifecta. These ladies are responsible for the production of more than 40,000 items a month. They oversee everything from the quality of the raw materials to the consistency of product – both in terms of taste and presentation. We are fortunate to have three strong women who can manage their individual teams and work effectively together to produce an amazing amount of product that is up to our exacting standards. All three women are “lead by example” managers and are on the line with their teams providing coaching, course correcting and encouragement every day. Our Head Baker Jennifer Walsh oversees a team that produces more than 10,000 pastries and desserts a month. Jennifer fosters a positive, supportive atmosphere in the Gourmondo bakery and empowers her to team take responsibility for different tasks. She encourages ideation for new treats we can offer to our customers. Catalina Zarate is responsible for the kitchen production in our boxed lunch/delivery division. This includes overseeing operations on the hot line, salad, sandwich and box lunch areas for breakfast and lunch. She is uniquely qualified, as she worked in each of the divisions prior to being promoted to her current role. Catalina attributes being a mom of 5 to helping her be a better manager. She knows how to see each person as an individual and how their unique talents or way of thinking can be leveraged to benefit the whole team. 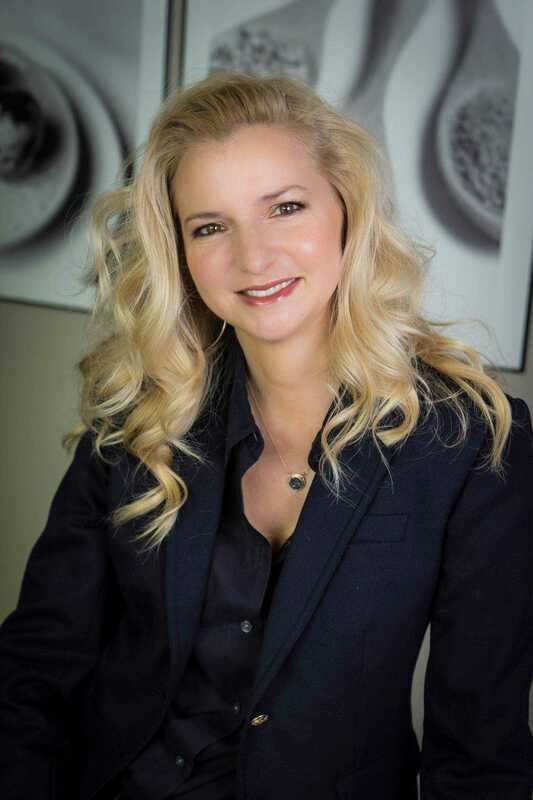 Jessica Edwards, Director of Catering: A very smart woman once said “Power is actualized only when word and deed have not parted company,” a philosophy I wholeheartedly believe in. Thank you, ladies, for all that you do here at Gourmondo!